eCosma is an electronic cosmetic notification system implemented by Saudi Food and Drug Authority (SFDA) to regulate manufacturing, importation and marketing of cosmetic products. The eCosma system is divided in many sections; these are clearance, domestic manufacture licensing, Warehouse licensing, and product notification besides issuing GMP certificate for the local manufacturer. The first step in the eCosma notification/listing process is the creation of user account and request for licence. Once this step is completed and required information is obtained, the user can initiate the process of cosmetic products notification through the eCosma system. Is there an official circular mentioning the obligation of eCosma notification plan?? Yes, the official launch of the eCosma and the mandatory notification plan has been published through a circular issued by SFDA (Circular Number 6395 dated 17th Dec 2014). What is the purpose of eCosma notification process? The purpose of eCosma notification is to establish traceability of cosmetic products placed in the Saudi market during the market surveillance carried out by SFDA. When will the eCosma notification process be implemented? eCosma started officially on the 1st of April 2015 and will be gradually applied in accordance with the notification implementation plan as detailed in the SFDA Circular Number 6395 dated 17th Dec 2014. Is this notification process mandatory? Yes, it is mandatory & will be in-line with the notification implementation plan. 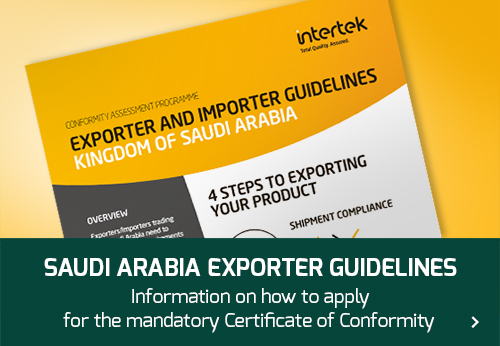 For those products which need to be notified as per the implementation plan, the notification/listing reference numbers will be required in order to obtain a Certificate of Conformity for the import of such products into Saudi Arabia. Who is responsible for the notification process? What are the steps involved in the notification process? Will the Certificate of Conformity still be requested even when the products will be subject to eCosma notification process? The CoC will still be mandatory for each shipment of cosmetic products even if these products are subject to the eCosma notification process. Does the eCosma replace the conformity assessment/registration which is done by Intertek? The eCosma notification does not replace Intertek conformity assessment process (Inspection, testing, registration) for the issuance of CoC. If an Exporter/Manufacturer has several Distributors for the same product then does the notification need to be done by each Distributor? Each authorized Distributor/Importer (has authorization letter from the Manufacturer) should notify the cosmetic products under their company name. In case the Exporter/Manufacturer changed their Distributor; does the new Distributor need to notify and provide all products’ information again on the eCosma system? In case the Exporter/Manufacturer changed their Distributor, the new Distributor needs to notify eCosma with all the product’s information irrespective of the fact that these were notified or not by the previous Distributor. What does the notification number look like? Is the notification number required to be provided to Intertek when submitting the request for certification for cosmetic product shipments? Yes, starting from September 2015, notification number is mandatory for any request for certification for cosmetic product shipments which are subject to eCosma notification in accordance with the notification implementation plan. 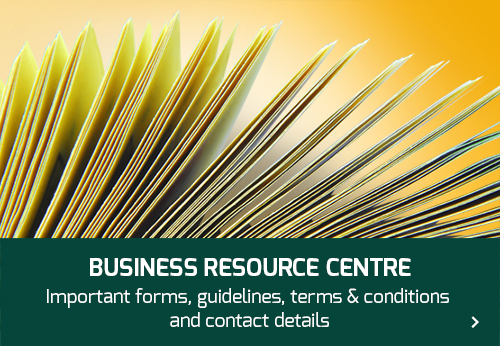 To get more information about the new SFDA requirements, please feel free to consult the latest version of the SFDA document “Cosmetic Products Clearance Requirements from Customs Ports”, which is available from this link. Is Intertek responsible for verifying the accuracy of the notification number? It is the responsibility of the Exporter/Importer to correctly declare this number on the submitted request for certification. However, Intertek reserves the right to verify the accuracy of the number with SFDA in some cases. Is there any certificate issued by SFDA for notification numbers? No, the notification numbers appear online under the Importers/Distributors account. The notification numbers can be submitted to Intertek through an excel/word document, or by providing a screenshot of the numbers in the eCosma system. Are inflight sales / duty free cosmetic products subject to eCosma, as such products are not to be sold in the Saudi market? Yes, all cosmetic products must be notified in eCosma. Are cosmetic products that are supplied to Hotels (as Hotel amenities) subject to eCosma notification? Every Importer/Distributor of cosmetic products should have a Warehouse to store their products. This Warehouse should go through a licensing process by SFDA which is part of eCosma notification process. What does the Warehouse Licence look like? The licence number is available on the Warehouse licence certificate. It is in Arabic and has the following format ٥٦٥٦٥-٥٥-٧٧ رقم الرخصة: / Licence Number: 56565-55-77. Is the warehouse licence mandatory? Currently the Warehouse licence is optional. Starting from Jan 2016 it will be made a mandatory requirement. For cosmetic products with colour or fragrance variants, is it mandatory to notify separately each variant? No, one notification is enough to cover the colour/fragrance variants for a particular cosmetic product. How can Intertek support Exporters/Importers for the eCosma notification process for cosmetic products? Providing information to Exporters/Importers regarding eCosma process. Initiating the notification process on behalf of Exporters/Importers. For this purpose the Exporters/Importers should contact Intertek Offices in their countries or Intertek Centre of Technical Expertise for Cosmetics (CTE-C) and provide them with a sub-account created by them in eCosma for an Intertek user in addition to an authorization letter to Intertek to proceed with eCosma process on behalf of Exporters/Importers. Additional documents and manufacturer information may be requested. Is it mandatory to notify different sizes/volumes of the same product? When one product is available in various size/volumes (such as: 30 ml + 50 ml + tester), SFDA is flexible about listing one size/volume of product representing other sizes/volumes of the same product. Modification on the system is in progress to allow adding multiple sizes/volumes in one application instead of submitting separate applications for different sizes/volumes. Therefore currently clients are just required to list one size/volume as long as the only difference in the product is the size/volume and all other parameters remain the same. The other size/volume can be progressively added to the previously listed size/volume once the modification on eCosma system is done. Is it acceptable to declare the ingredient/s is terms of its concentration range on eCosma system? On the eCosma system the ingredient/s data should be entered in specific concentration percentages and not in a range form. Further all the ingredients should be entered in the system. All non-restricted ingredients can be entered in approximate concentration percentages whereas the restricted ingredients should be entered in their exact concentration percentages.